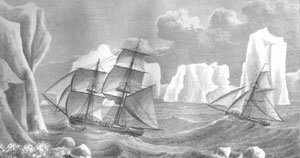 Antarctic was a barque with three masts and equipped with a steam engine. Built in 1871 at Holmen in Drammen under the name Cap Nor. Initially Antarctic was used for seal hunting around Svalbard, Jan Mayen and Greenland,. During that period the ship was captained by Gullik Jensen and among others Carsten Borchgrevink served on the ship. In 1893 Antarctic captained by Leonard Kristensen set off on a whaling expedition to Antarctica led by Henrik Johan Bull and financed by Foyn. The ship was equipped with 11 harpoon guns, an arsenal of explosives, 8 whaleboats and 31 men and left Tønsberg on September 20, 1893. 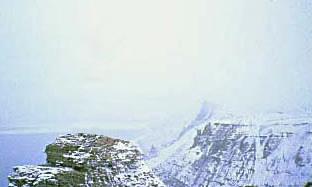 The first summer was spent around the Kerguelen Islands with winter camp in Melbourne. On September 28, 1894 the ship went off to sea heading for the Ross Sea. 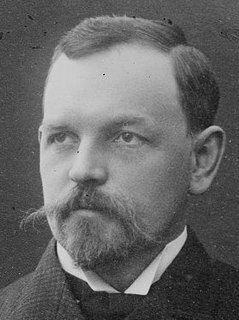 On October 16, 1901 Antarctic now captained by Carl Anton Larsen left Gothenburg harbor on Nordenskjold’s Antarctic expedition. This would become the ship's last voyage. Wikimedia Commons has media related to Antarctic (ship, 1871). The Norwegian Polar Institute (NPI), known as Norsk Polarinstitutt in Norwegian, is Norway's central governmental institution for scientific research, mapping and environmental monitoring in the Arctic and the Antarctic. The NPI is a directorate under Norway’s Ministry of Climate and Environment. The institute advises Norwegian authorities on matters concerning polar environmental management and is the official environmental management body for Norwegian activities in Antarctica. Foyn Island, also known as Svend Foyn Island, is the second largest island in the Possession Islands, East Antarctica, lying 6 kilometres (4 mi) south-west of Possession Island. An Adélie penguin rookery covers much of the island, which is often included in the itinerary of Antarctic cruises.